SEO is an essential component of any online business and is crucial for getting your website found in the Google search engine results page. Content Is King is a specialist in SEO within Australia. We are a White Hat SEO company and will only ever practice the best techniques for increasing your positioning on the search engines. Our aim is to assist your business in reaching the number one position for keywords that are relevant to your industry, although with the competitive nature of SEO in Australia and the rest of the world, it is impossible to guarantee #1 position. In fact, Google advises businesses to stay away from anyone who does guarantee the number one spot. Instead, we guarantee that we will do everything we can to increase your position and will always do what is best for your business. Our guarantee is that our methodology works! We treat our customer’s businesses as importantly as if they were our own and focus on getting the best results possible. Which Places do You Service for SEO in Australia? As we are a Melbourne SEO company, we primarily focus on SEO in Melbourne. However, we remotely service clients based in Sydney, Brisbane, Perth, Adelaide, Hobart, Canberra, Gold Coast, Newcastle and everywhere in between. Given that so much of our work is done over the phone, by email or online anyway, our SEO clients across Australia get the same fantastic service offered to those in Melbourne. We specialise in SEO in Melbourne where keywords are highly competitive for our clients depending on the industry. As new businesses enter the marketplace, the keywords and phrases that are relevant to particular industries get more competitive. This is why we never rest on our laurels, always striving to maintain positioning at the top of Google once it has been reached. We also find that SEO in Sydney is highly competitive and as such, clients need to be aware of the nature of the SEO game. When Google changes their search algorithms, which happens at least once a day, the complexity of the SEO game changes. This is why we always endeavour to stay on top of changing SEO strategies and keep abreast of the ones that work, always striving to increase our knowledge and maintain or grow our customer’s positioning. Just as the complexity of the game varies when the rules change, so does the competitiveness of the SEO game when new players enter the market. With SEO in Melbourne and Sydney, many of the search terms or keywords will be highly targeted, so we dedicate maximum resources to assisting in highly competitive industries. For other industries that are not as competitive for SEO in Sydney and Melbourne, we will undertake normal organic or local SEO strategies. SEO in Brisbane, Perth, Adelaide and Gold Coast is still competitive, but with fewer businesses located in these cities, the competition is not quite as high. Still, for industries that do have a lot of competition within them, we work as hard as possible to achieve high levels of results. No matter where our SEO clients are located in Australia, we will always create an SEO strategy to better their positioning on the search engines. This is because we know how valuable the top positions are on page one, and we want our clients to reap the rewards of being found online. We are 100% results focussed, and you can be assured that a little competition never scared us. 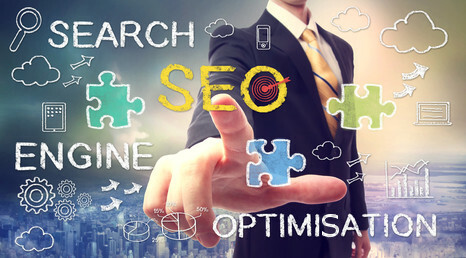 We will outline a winning SEO strategy for you and work tirelessly to increase your positioning. We don’t sleep at night unless we are getting you results, so let us show you what is possible for your business. Get in touch to find out how we can help your business to reach its full potential with a winning SEO Australia strategy. Modern, mobile responsive websites built in 2-4 weeks! Want to be on Page 1? High quality SEO services that will make your website sour up the rankings! Let us help you connect with new customers through Social Media Marketing! SEO, Copywriting, Web Design and Digital Marketing Agency Melbourne, Australia. Take your business to new heights with digital marketing from Content Is King!